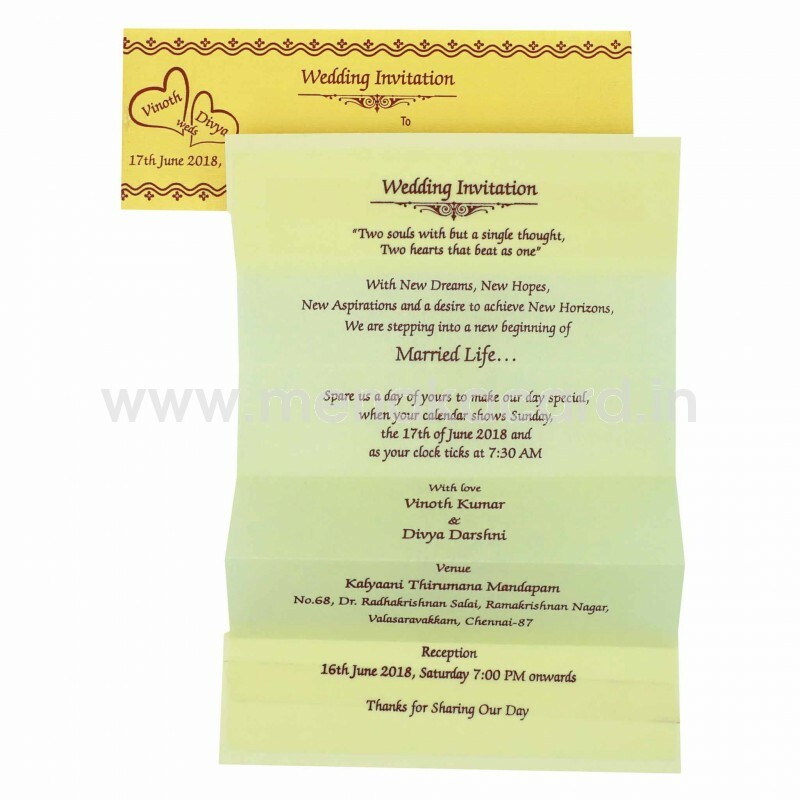 This cute sandal colour card is made from a matte finish artboard and has an accordion fold. 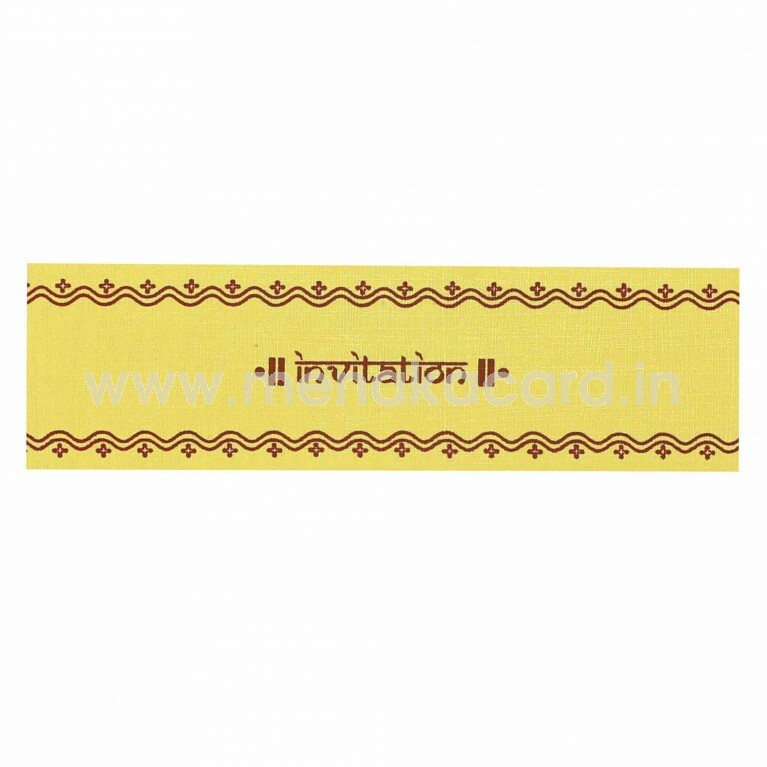 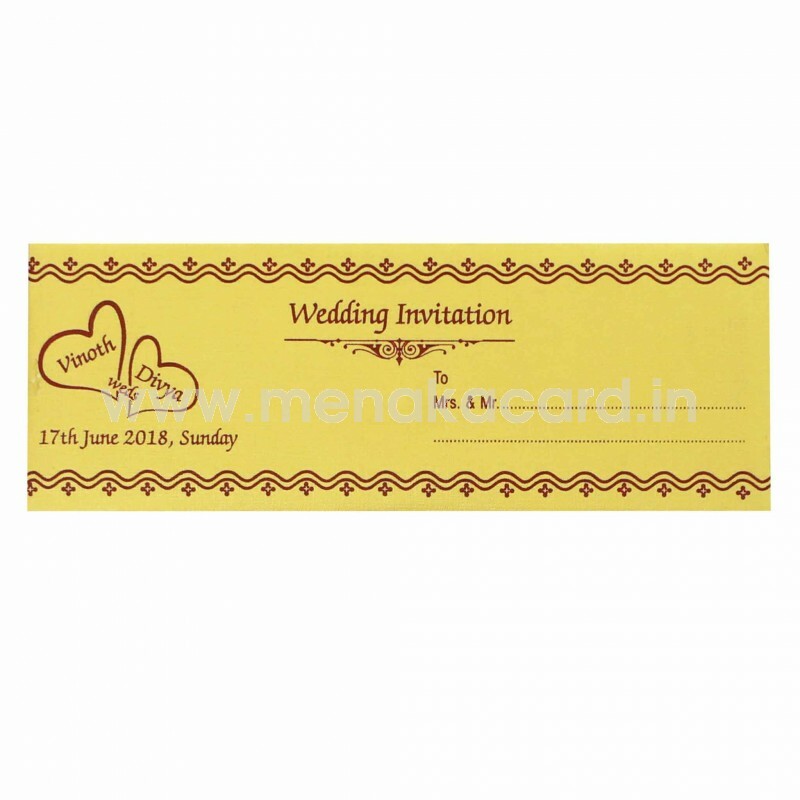 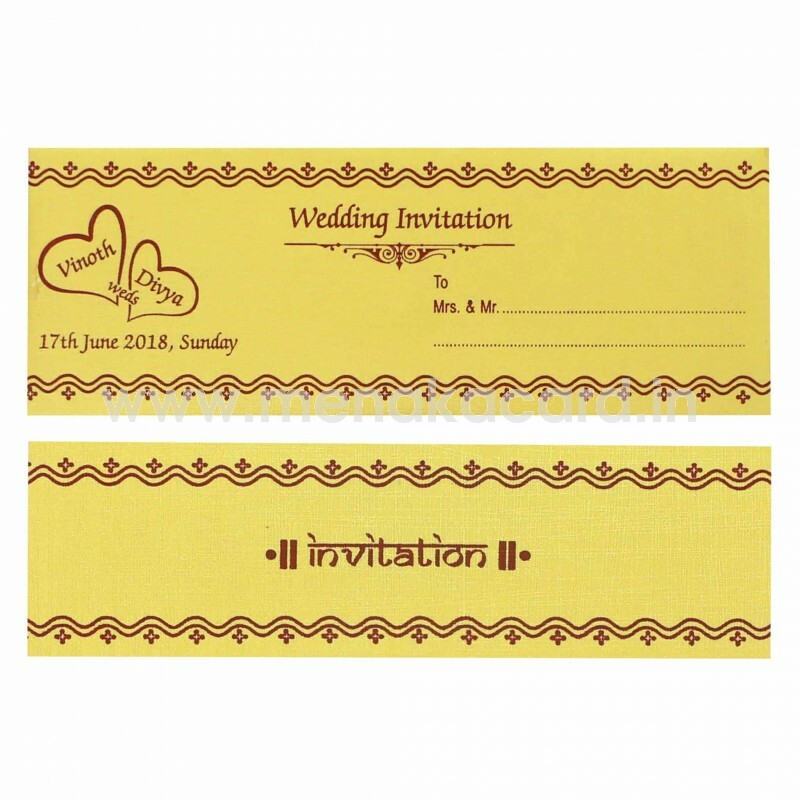 Generally used for a personal invitation to friends and colleagues, the front has a simple Indianized "invitation" inscribed on in a beautiful maroon colour. 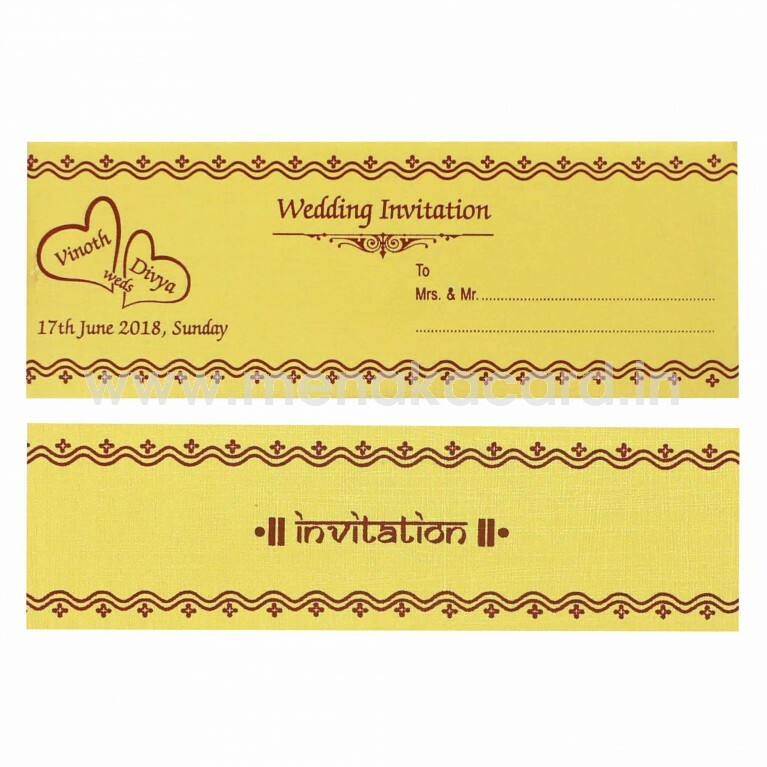 The Cream insert material likewise has the content printed in maroon. The envelope matches the card in design, colour and material.